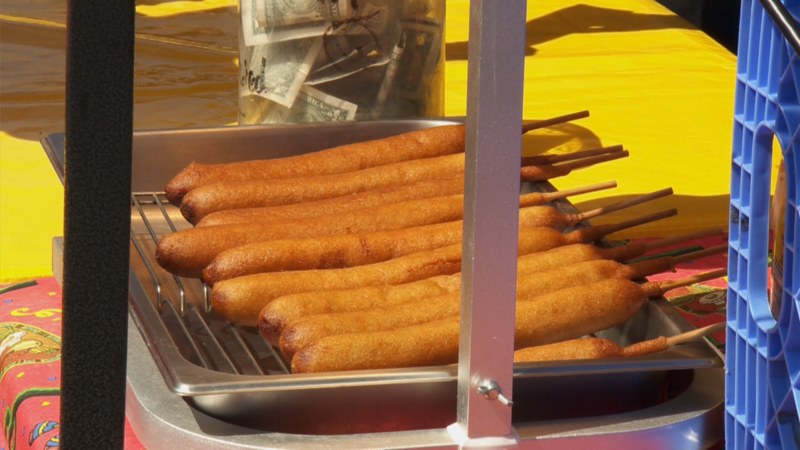 If you were at a fair or festival this year, there’s one thing that’s usually present: corn dogs. Shorter days and colder nights signal the beginning of Fall. 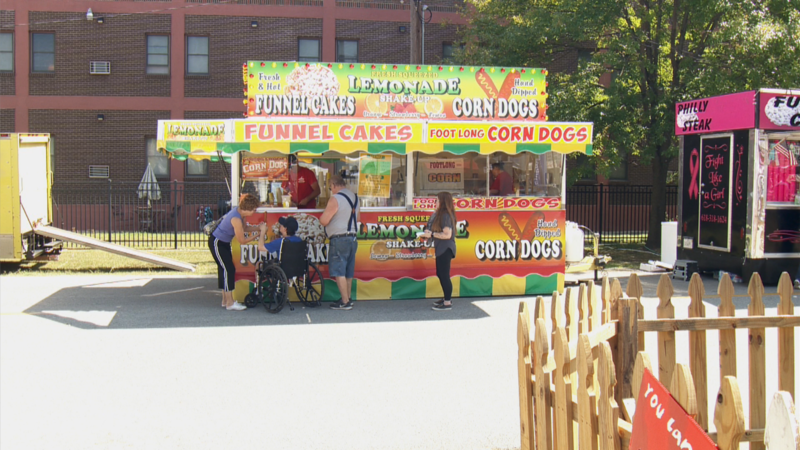 The county fairs are over, but there are still a few fall festivals out there. 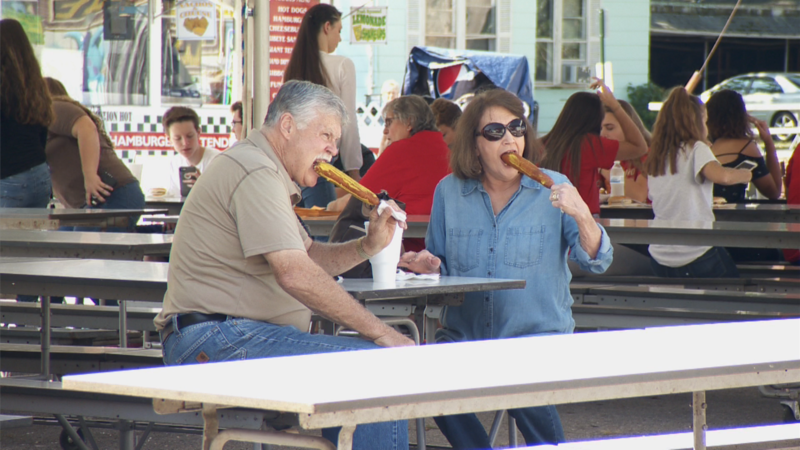 One of the most common things you’ll see at these places is a treat that’s been around for more than 90 years -- the corn dog. Multiple people claim to have invented or popularized it in the late 1930’s and early 1940’s in different parts of the country. Most of those occurred at state fairs, where they’re still one of the most popular items on everyone’s menu. However, there is a U.S. patent filed in 1927 for dipping various types of food impaled on a stick and in self-rising flour and deep-frying it. Everywhere you go, they're all made the same way. The only difference is where they buy the ingredients. He owns Bishop’s Outdoor Foods and travels around Illinois, Missouri and Kentucky from April through October. 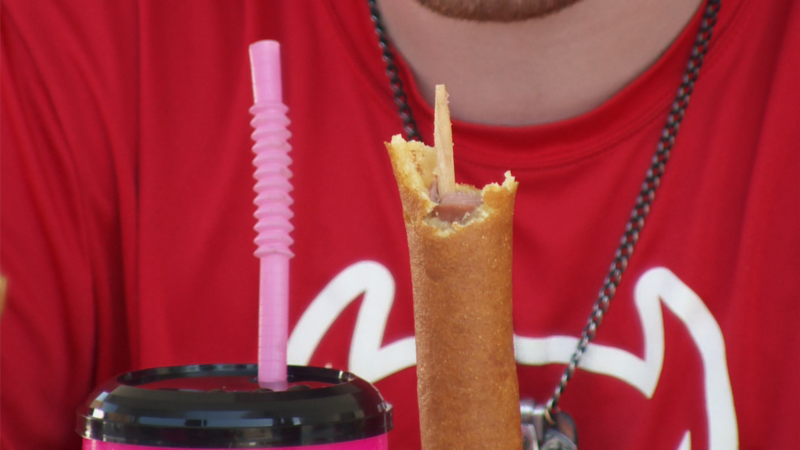 During that time he goes through a lot of corn dogs. As Bishop was busy making corn dogs at this year’s Murphysboro Apple Festival, I talked to some of his customers both young and old. “Just about everything, the hotdog, the corn around it, I like it. And there’s the debate between ketchup and mustard. No matter what you dip it in the stick keeps your hands from being messy. 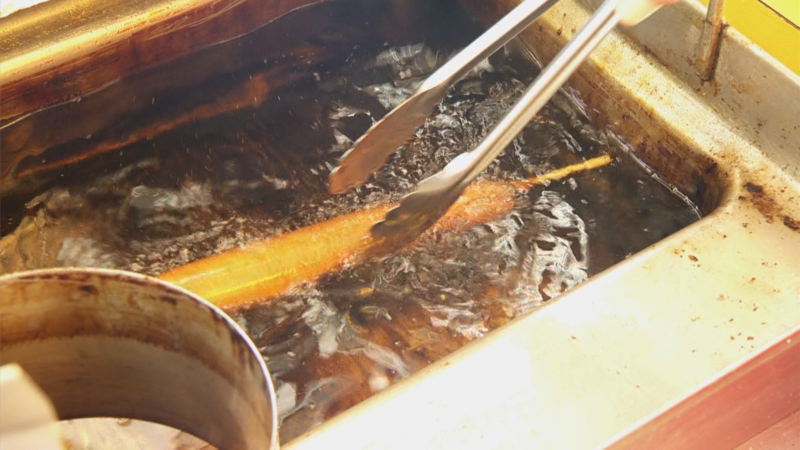 You can thank the Cozy Dog Drive In on Route 66 in Springfield for making the stick popular in the Midwest. 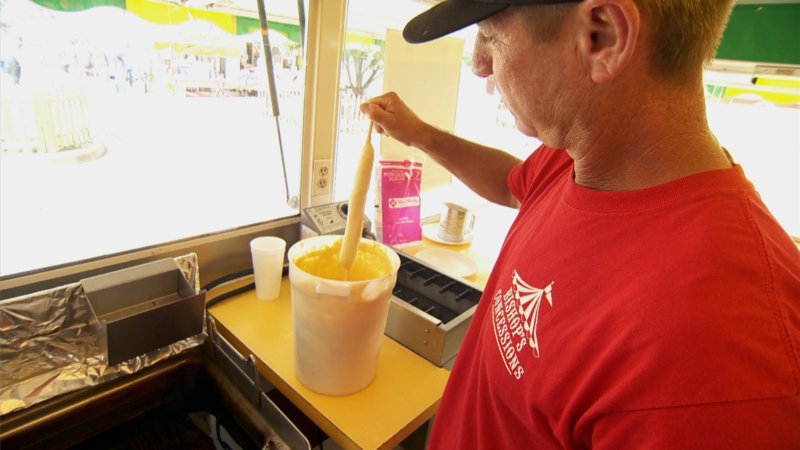 Josh Waldmire runs the cozy dog that his grandfather started in the mid 1940’s. 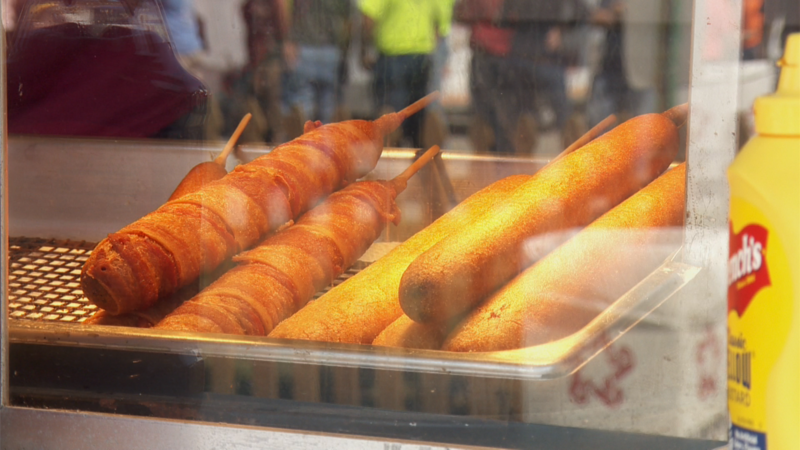 Originally the corn dog was baked in batter and would take over 20 minutes to cook. Ed Waldmire described these to his friend from college whose father was in the bakery business. Five years later Ed was in the air force in Texas and received a letter from his friend Don Strand who developed a recipe for batter that would stick to the hotdog. To decrease the cooking time Ed dipped them into frying oil for a few minutes instead of baking and started using a stick and came up with a special device for cooking them. And not much has changed in the last 70 years at cozy dog. But people keep coming to the cozy dog for this crunchy treat. But there’s one thing the cozy will do for customers that a lot of places don’t. The 66th annual Apple Festival wraps up Saturday evening. 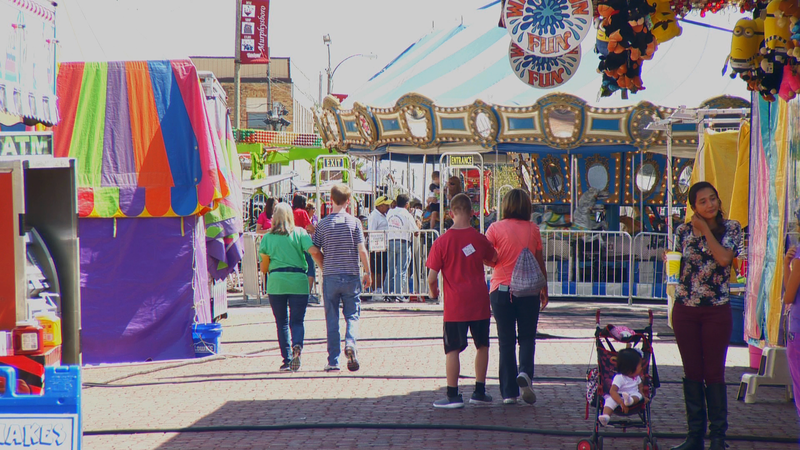 On Thursday the festival opened up for the special needs population of Jackson County. 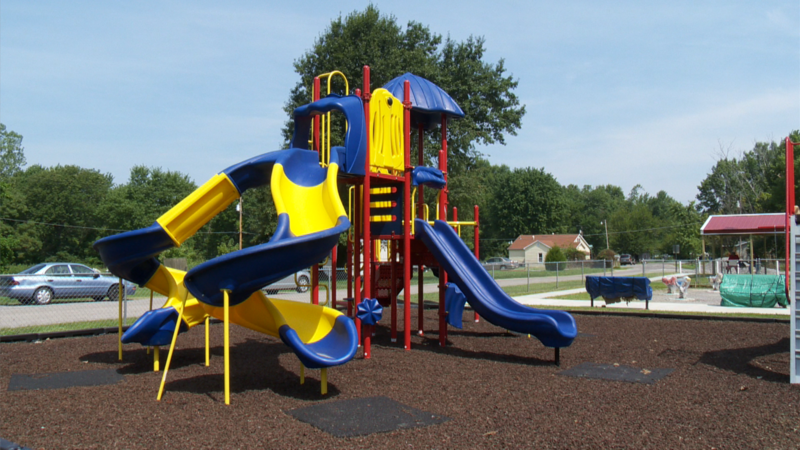 The Village of Colp is getting ready to open its first public playground to the community. Colp is more than a century old and is getting something new - something most communities take for granted.